How to rotate a video? Many people record their videos on their smartphones or cameras and later finds out that it became horizontal. To get rid of these problem, there are many ways you can fix it. You will need to get the video to your PC first. Step 1: Double click on the program to open it. You can download it for free and you can get new versions if you are using Windows 10. 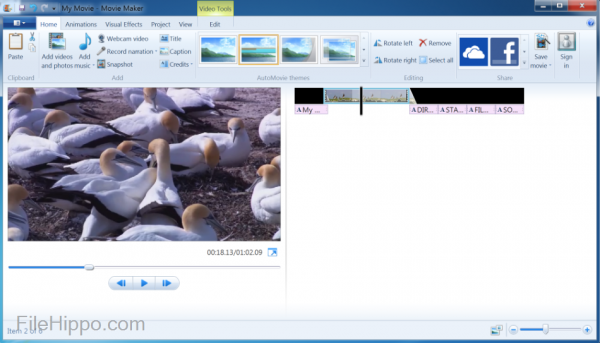 It is a software manufactured by Microsoft for people who want to edit their videos. If you are using Windows 8, it is simply the “Movie Maker”. Go to the Start menu and open it. Previously, it used to come as built-in with the PCs with the operating system of Windows. Now, you have to get it from the web. Step 2: Import the video you want to rotate into the video editor. Click twice on the video to get it on your Movie Maker. Look closely at the Home Tab. You will find a lot of options like Cut, Paste etc. You have two options that lets you rotate your video. Click on the one that suits your needs. It will start by rotating 90 degrees. Step 3: Just like you save other programs such as Microsoft Word, Microsoft Excel, the same goes here. If you do not, the rotation you made will go away. In case you forgot to save and you are closing it, you will get a reminder if you want to save just like you get from other Microsoft programs such as Paint. Pick the proper name and the right format so that you can find and view it later on. Step 1: Down the iMovie if you do not have it. If you are an Apple sure, you will need to know how to rotate using the video editing software iMovie. It is not a free computer program and you need to buy it. It runs on iPhone, iPad, iPad Mini and other Apple devices. It costs around five dollars and the innovative design on this app lets you create a whole new scene out of your clips. Step 2: Go to file menu and select “Import”. Get the clip and pick “Movies.” You have to know the location of where you kept the video. It will show up on the screening viewer and the film editing timeline. Go to the Crop menu. Select the clip and press on the button “C” on the keyboard. Step 3: Look next to the Fit and Crop options, you will see rotate signs. You will be able rotate it 90 degrees in both directions. Click on “Fit” or else you can lose some sections of the clip during the rotation. If you forget to click on it, you will get black line on both the sides of the film. Do not forget to save the changes you made. If you think that it is perfect, save it. Export it first by clicking it from the “File” options. Save it in the proper format so that you can view it later with ease. How does Netflix work? Netflix is getting popular with each day and it works by streaming content from Amazon S3 servers ended on CDNs to the viewers. They have the perfect mechanism that makes sure that each of the viewer gets the best resolution or what at least what they have signed up for. If you thinking how Netflix works for free, you have to take on the free trial. In that way, you will be able to use it for free and watch movies and shows as much as you want. The resolution can differ from differ from device to device though. It can run on your phone, television and the PC. 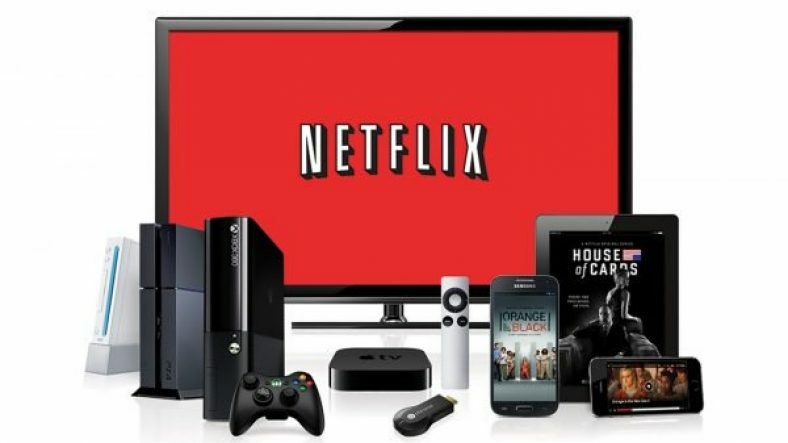 Netflix is a great way of watching all type of movie and TV series with the help of the web. There is action, documentaries and drama for adults like Marco Polo, Shadow Hunters and Orange is the new Black. There is another special adjustment for children where they can watch child-friendly shows like A Christmas Story, Shark boy and Lava girl and Goosebumps. You will also get Netflix on your smart TV like the Apple TV, Samsung or others and your game consoles like XBOX and PlayStation. You can get Netflix if you have a streaming player or a smartphone or tablet. If you are thinking of the price, you can start using Netflix for free at first. The initial month is free. After the first month ends, you have to start paying. There are 3 packages: basic, standard and premium. The premium is the best one as you can understand from its name. It costs $12. You can cancel anytime and there will be unlimited movies and TV shows no matter which package you purchase. The only difference between the packages is that for basic users the video quality is not going to be HD. For standard users the quality is going to be HD and not Ultra HD. For premium users, you get HD and Ultra HD both. You can use which ever you like. If you like the Netflix, it is time for you to sign up. You have to put the proper e-mail address and a strong password. If you have any problem, you can contact them by live chat from your laptop or desktop PC. You can communicate with them through the Netflix app as well. They do not have a phone number like a landline number or a cell phone number. Netflix uses around 1 GB of data every hour for loading a video of standard quality and 3 GB for streaming a video of HD quality. You can adjust your settings or else you will run out of bandwidth. There are 4 internet use settings. That is low, medium, high and auto. You should know that when you are trying to save your internet data, you may end up watching videos in bad quality. Many people around the world, especially in the US have cancelled their cable connection for Netflix. 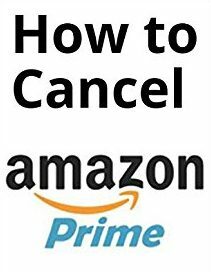 How to cancel amazon prime? To cancel it click, “do not continue”. You will get a lot of benefits if you have an Amazon prime. You can start with the free trial to get the benefits. If you shop regularly, taking advantage of the free trial is great. Normally, you will have to pay for shipping which costs a lot. They also take more than 2 days to arrive. If you have a prime membership, you can get free shipping within 2 days or less. If you have a digital media streamer like Roku or Apple, you can get instant movies and thousands of TV shows. It also works if you have a smart TV like Samsung smart TV or LG smart TV. You may have the great eBook reader known as the Kindle. You can get many eBooks for free. Kindle is already full of its own benefits like you can read in the dark and it saves a lot of space. If you did not have a Kindle, you would have to pay for each book from the bookstore and you would need a lot of space to keep the books. They are light, portable and easy to use. With an Amazon prime, you get as many as 700 000 EBooks for free. After the 30-day free trial is over, you will be charged for the Amazon prime account and services. 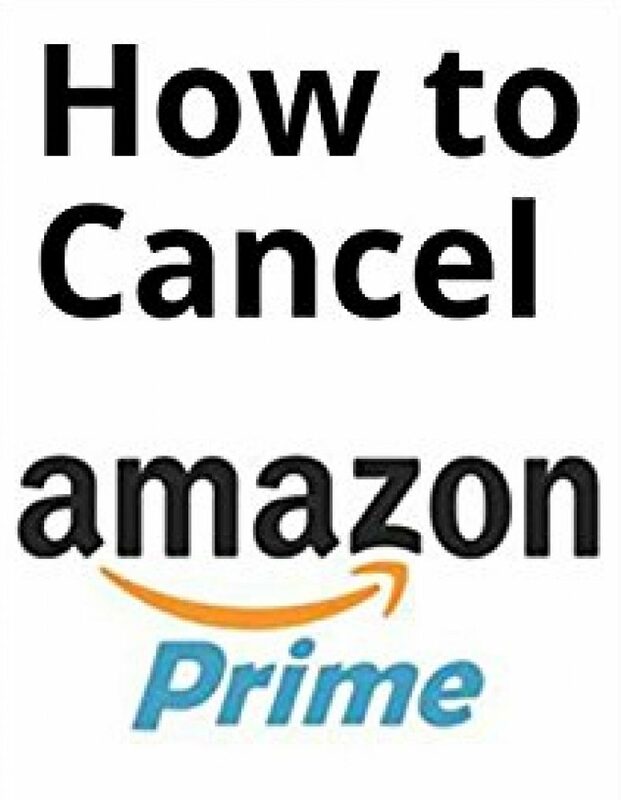 You may decide to cancel the membership or cancel Amazon prime. Step 1: Log in to your account with the correct information. There are two options on the right hand corner. One of them is “Your Account” and “Your Prime”. Choose the second one because now you want to cancel Amazon prime not your Amazon regular account. Step 2: After you click on it, wait for the new page load. You will see that at the right side of the page, there is your name such as Hello Molly. Below that you will see few options like: Track or Manage Purchases, Manage Prime Membership, 1 Click Settings, Kindle First Titles, Browse Prime Instant Videos and etc. Step 3: After you have gone through them, pick the second one where you can control your membership on Amazon Prime. You need to sign in again using the password you have made for the Prime account. Now, look at the left side. There you will find your name with free trial. That is means it will say: “Hello Molly Member since: January 1, 2016 (free trail)”, that means from February 1 you will have to start paying to be a member on Amazon prime. Click on change membership. Then click on cancel membership. • Do not cancel your membership if you are a regular shopper from Amazon. Before you purchase any product from there, check the reviews. • You can claim your money back if you see a price drop on something you bought recently, it is more like a tax refund. • You can let them know if you have seen the same product at a low price on other websites. Facebook is the another name for social networking site. While there are numerous sites trying to be on top, Facebook still lies as the most popular one. It makes sharing your events, photos and messages very simple and easy. People of all love using it and the first thing you put when you sign up is your name. It can happen that you made an account when you were young and you want to change the name. It could happen there are privacy issues and you want to alter your name. It could also be that you want to add or remove some part of your name. If your name is Ava Isabella Johnson, you may want to make it Bella Johnson or get rid of the middle name because you do not want all the people to know so much details about you and make it Ava Johnson. Step 1: Enter into the Facebook app that you use and look at the top-right corner. There is an icon to message people and people that is a similar icon with the people sign. It is just three lines in grey color. Press that. Step 2: That icon is a shortcut to your Settings, Groups, Favorites and profile and slide down to get to the name part since your target is to alter the name. Step 3: Under the Settings, the fourth option is the one to alter account details like your password and name. Press that and you will see various sorts of details and alterations about your account. You can change the way you receive texts from Facebook on your phone, apps, payments etc. Step 4: The first option is the one where you can edit your name. It is “General” right above Security because it contains the basic information like email, phone and networks. Press on name. Step 5: Once you change it, you will be unable to make edits for the next two months, therefore make sure you are writing correctly. Type in the name you want with the first, middle and last name. Step 1: It is much easier on the PC and takes few seconds to achieve the new name. All you have to do it go to the top-right corner and click on Settings. It is right before “Log Out” and there is a lock icon. Click on the arrow next to the lock icon. Step 2: It will directly take you to your general settings where you have the basic information like temperature, password and email. Click on name. Step 3: You need to write down your desired name and click on Save. · Even though you are free to make changes to your name, you are not permitted to use symbols, number, punctuations or capital letters. Other websites lets you use name like strawberry123 or w!reles$ etc. This entry was posted in Internet on October 17, 2017 by Tom. How to right click on a mac? It can look hopeless if you are thinking of right-clicking with a Mac but once you know the steps you will be enjoying the perfect computer in no time. Here are some methods on how you can right click on a Mac. How to authorize a computer on iTunes? Step 1: Go to System Preferences and you will see many options in front of you. You will see keyboard, mouse and beside that is the Trackpad. 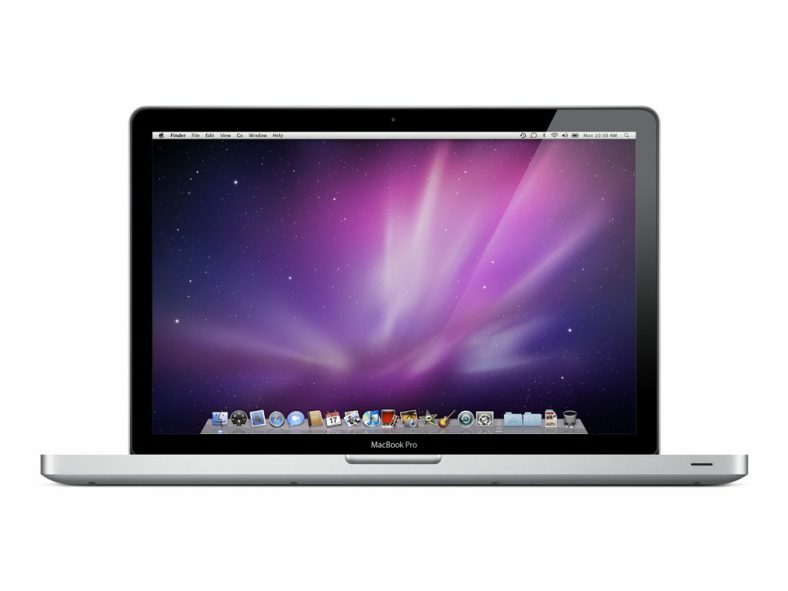 System Preferences is the application that comes with the operating system of the Apple computers. You can cause a lot of alterations in your Mac by simply changing the settings from this application. If you can get intimate with it, you will be able to control many of the things. Step 2: Click on Trackpad and again a lot of options will appear. According to Mac, the right click is known as Secondary click. You will have to tick that box next to it. The Trackpad is simply the touchpad that makes the connection between you(user) and the computer. It is the easiest way you can connect with the Mac and send commands. For example, you want to do a Cleanup, you need to send the command through the Trackpad. You could want to surf the internet, in that case, no matter what you want to do you will need it. You cannot ignore the use of the Trackpad. Step 3: There will be three choices and pick the one you like out of the three options. One involves clicking with two fingers, the other one is clicking on the corner of the right side and the last one is clicking on the left. After you have chosen one, you can test it. Suppose you chose the one that makes you click on the right corner. Go to your trackpad and click on the right corner and see if you get the list that comes up with the right click as in the options to make a New Folder and such. If there is no option to right click, it gets hard to work on the Mac, that is why you can set it up in this manner. Step 1: There is the control button on the keyboard of a Mac computer. It is on the left-hand corner beside option and command. Step 2: While you hold the trackpad with one finger, click on the Control button with the other finger and it will do the same job as a right click. Step 3: After that, choose what you want to do. Step 1: Purchase a mouse from connecting to the Mac. They manufacture their mouse and you can buy them from the Apple stores or online. Step 2: Attach the mouse just like you connect your phone to the Mac using the USB cable. Be gentle, you do not want to ruin the port. Step 3: The mouse will work right away and if you face trouble go to the option Mouse in System Preferences. How to delete Instagram account? Instagram has always been famous for being a platform for sharing photos. It is not just an app on your phone. You maybe already using a lot of ways to share photos like twitter, Tumblr and others but you love this one. There are many reasons to use it and the first one is, it is easy to manage because it is only for sharing pictures. People do not have to deal with unknown messages, stalkers or annoying people as they can put full privacy on their photos. Many people delete their account because they think it is a waste of time, they find it hard to keep up with others by increasing their followers and they do not find it interesting. People display their personality over there and sometimes had to face trouble for that. Some people even get mocked for posting photos. Suppose, a parent is posting child’s photos people say just because they have a baby does not mean they have to post every single action. Let us assume someone food photos food because they love eating, people will say you do not need to post everything that goes into your stomach. Step 1: Go to the URL of the official Instagram website and log in to your account with right email and password. Step 2: Go to Edit Profile from the Account option. There are many options that lets you change the password, phone number etc. 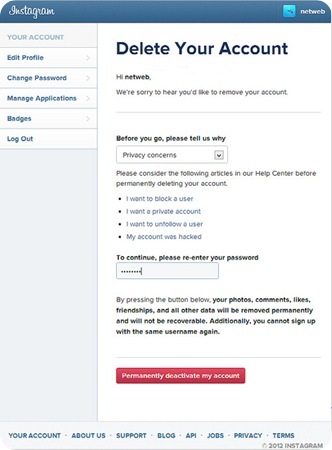 Step 3: Go to the bottom right corner and click on “Delete my account”. Select a reason or just go with Other and write down the password and it is ready to be permanently erased. Step 1: Go to the internet browser you use on your phone and go the official site of Instagram. You will find that is not logged in even though your Instagram app is always on. Step 2: Enter your account with the password and email. Go to the top-right corner and click on your Instagram name as in it could be strawberry_pink, lovetowork123 or just your name. Click on Edit Profile. 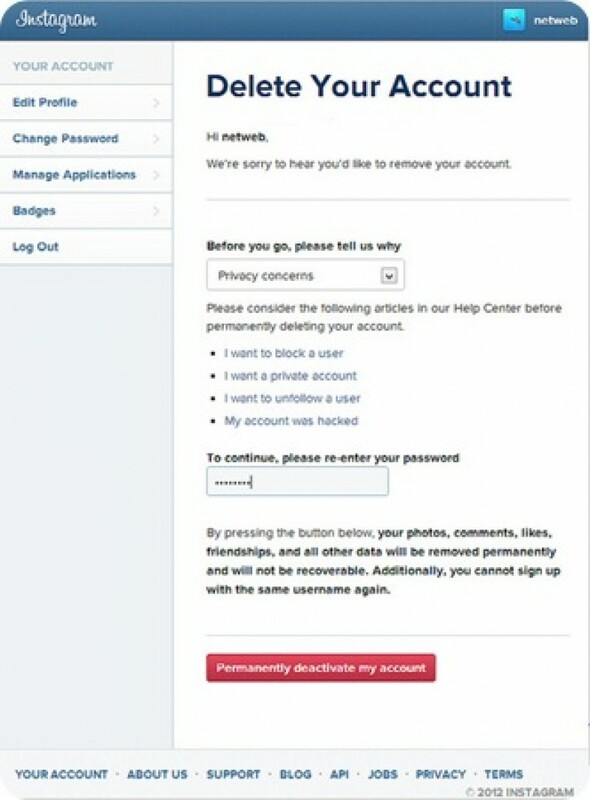 · You should know that this is going to delete all your account’s photos and information. It is not like Facebook, that you can start using the old account again by simply activating it. · Since you are going to lose all the photos, consider having a backup of all the photos in your PC or mobile phone. · If you erase your Instagram account your photos, videos, comments and friendships will be eternally detached and cannot that them back again. Thus, make sure you have transferred your pictures and videos if you still need them. You cannot use the same email or username again. This entry was posted in Internet on October 16, 2017 by Tom. How to make google your homepage? Is Google your favorite search engine or your favorite website? Are you an android user who regularly needs to check their Gmail accounts? Google is very popular and after the arrival of Android phones millions of people have opened Gmail accounts. In the last decade, Yahoo and Hotmail were popular for making e-mail accounts. If you use Google for your research and other works you need to make it your homepage or else, you have to type in the URL over and over again. It can be time-consuming. In order to save your time and energy, you can follow the steps below to make it your homepage. It varies from browser to browser. Step 1: Go to google.com and there will be a message which says that if you visit Google often you can make it your homepage. Step 2: Click on that by saving it. There will be two options, choose the first one which says to make the ste your homepage on this PC. Step 3: If you are going to do it manually, go to the top-right corner of the browser. Click on Settings and Internet Options. Step 4: Under the general tab, there is a big white box where you can type the link of any site you want as your homepage. You can go for facebook.com, twitter.com etc. Step 5: Type in fully along with the http and everything. In this case, we are doing google.com and press “Ok” to confirm. 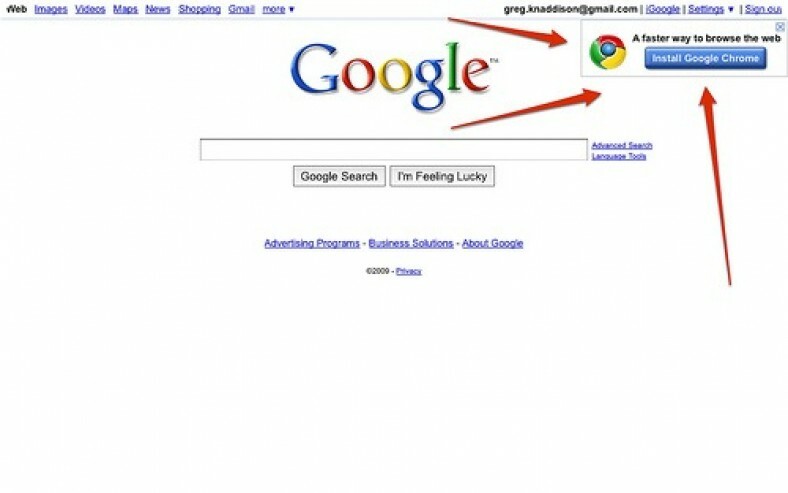 Just because its name is Google does not necessarily mean that the homepage will be originally Google.com. Step 1: Just like the Internet Explorer, there is going to be an icon in the top-right corner of the browser. Step 2: Click on Settings. There are many options like On-start up, Appearance, Search and People. Under start-up select the third option. Step 3: In the third option, there is a hyperlink that is “set pages” click on that. You can type your desired URL there. If you use Yahoo more you can type in www.yahoo.com and if you use msn more you can type www.msn.com, in this case we are going with Google. Step 4: Type properly in the correct format and press Ok. Step 1: Open the browser and Speed wind will show up as your search engine and homepage. You will get options which are Amazon, Facebook and Yahoo but nothing about Google. Step 2: In case of Mozilla Firefox, go to the top-left corner and click on the icon. Go to options and you will get many choices like “Menu Bar” and Bookmark toolbar. Click on Options and then General. You will find a box where you will see you can put any site as your homepage. Step 3: There is a box to type in the link. Write down the URL of Google in the perfect manner. 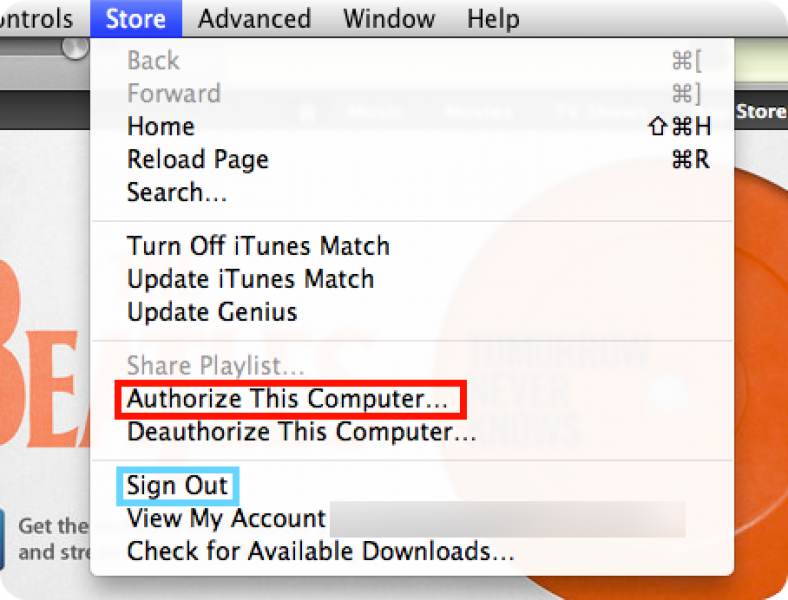 How to authorize a computer on iTunes? A significant part of the items you buy and transfer from the iTunes Store is enfolded in advanced rights administration who is known as digital rights management (DRM). This is planned to stop the items being pilfered and utilized by anybody other than whoever purchased it. The DRM mechanism is to approve computers which give iTunes announces on them authorization to play the items you have purchased. As a result, you need to play or match up items that requires authorization however have not yet accepted the computer you are operating, you will get a ready dialog and the method to sign into an iTunes account. You should be aware that not all items you download from iTunes has these sorts of limitations. Music that has been purchased correctly during the recent time is supposed to play paying slight mind to whether you have approved your computer, though any appearance of television series will not. It is easy to authorize a computer whether it is Mac or Windows. Some people use Mac because of its great performance and it is great for documents. That means if you are into studying, research and reading the Mac is perfect for you. You cannot play games properly on it. An affordable option for operating system is the Windows. Windows is more common than Mac even though it crashes a lot of times. It is suitable for playing games with high-quality graphics. Step2: There you have to click on Authorize This Computer. 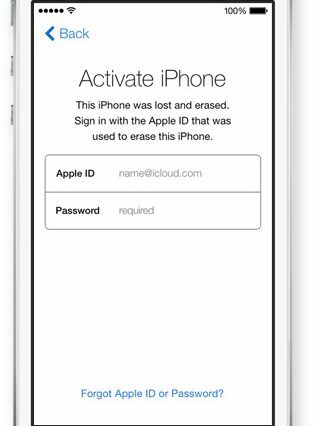 Step 3: That is the page where you put in your Apple ID email address and password, and then press on Authorize to conclude it all. After these steps, the Mac computer will be approved on iTunes. Your PC has to be Windows 7, 8 or 10 in order to get permission. Even though Apple and Windows are both very different, you can still get them together by having iTunes on Windows. Apple is the manufacturer of iPhone so if anybody has that and a Windows OS PC then that user needs to know these steps. Having an iPhone is more common than having a Mac computer just like having a Windows PC is very popular compared to a Windows phone. Step 1: Go to iTunes and know that you cannot do this on more than 5 computers. Go to the left hand corner of the page. Step 2: Click on that and you will get a list where many options are there like library, preferences and hide menu bar. Choose the third option the one below library and click Authorize this computer. Step 3: It is time to enter the apple ID and password. Within a second, you will get notified that it is done an how many computers left. How to change Gmail password? Gmail has always been a famous platform for making e-mail ids but has gained more popularity after the arrival of Android. There was Hotmail and Yahoo that were more used at the beginning. Now, every android user has their Gmail accounts because they need it to download apps from the Google Play. 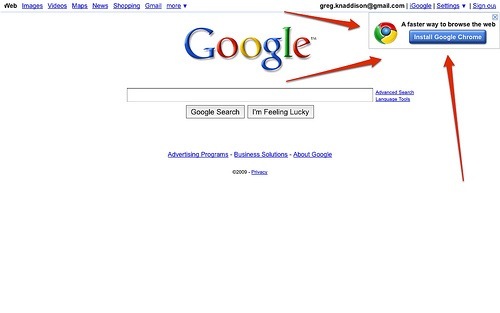 The name Gmail comes from Google Mail. Google is the favorite search engine of many. Gmail and Google can be used completely for free and they are always available on every device like smartphones, tablets etc. How to change Wi-Fi password? Making an account is easy and the important part is to think of a strong password because there are scammers and hackers everywhere. You may have to change your password because you think someone knows about it, or it is hard for you to remember or you forgot it. Changing the Gmail password is just as easy as making the Gmail account. Here is how you can do it. This is how you can do it if you remember your current but you want to change it for security purposes. Step 1: Log in to your Gmail from your PC. Go to the top-right corner and there is an icon resembling a gear icon. That is Settings. Click on that. Step 2: Once you click it, you will find other options like themes, take the tour and settings. Press the settings inside the settings icon. Step 3: You will several tabs like General, Label and Inbox. Go to Accounts and Import and the first option is to change the password. They will ask you to type the old and the new password. Do that and click done. 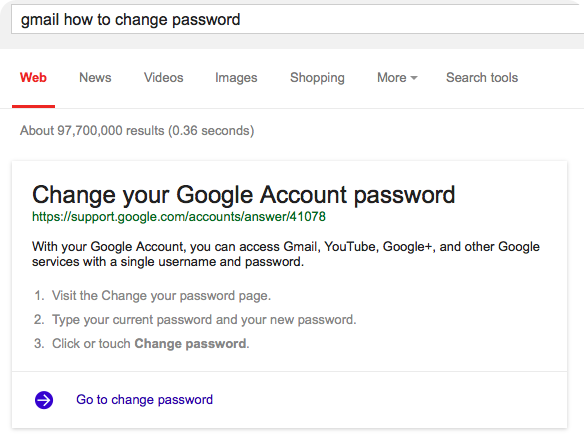 Here is how you can change you Gmail password if you have forgotten the old one or cannot get into your account. Step 2: You will need to type the e-mail again and write down the codes that you see. After you type them correctly you will need to write down an old password that you remember. It is not the last password you had since you forgot it. Step 3: Even if you forgot it, do not worry just click on that. Later, you will get an option of whether you want a message on your mobile phone or you want a text message. They are going to send the code and you will have to enter it and continue to change the password. Step 2: You will get all the information such as when you last changed your password. Type in the new password there. Step 3: Before you write down the new password, you must type the old one even if you are using Google Play. You can even change Account Recovery settings to get our account whenever you have password issues.